Ruth Anne Dunbar, age 70, of Mt. 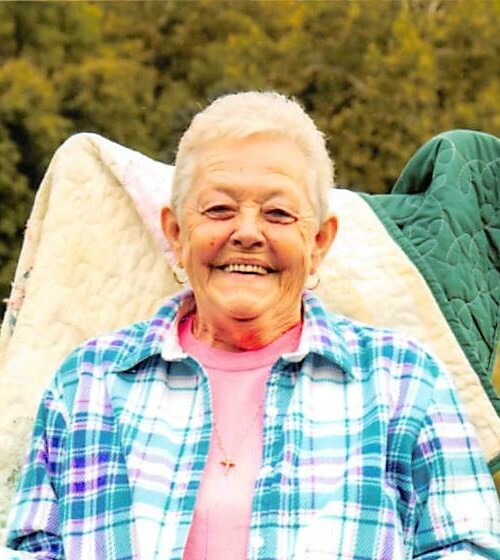 Sterling, Illinois passed away at 9:01 p.m. Saturday, January 19, 2019 at the home of her daughter in rural Mt. Sterling. She was born February 25, 1948 in Beardstown, Illinois the daughter of Otha Milburn and Wanda Pauline Shoopman Dunbar. She married Vernon William Logsdon I on March 31, 1964 in Cooperstown Township in Brown County and to this union three children were born. Ruth served as a supervisor for Mental Health Centers of Western Illinois in Mt. Sterling for over 20 years. She attended Cooperstown schools, Brown County High School and she later attended John Wood Community College in Quincy, Illinois. She was a member of The Crossing Church in Mt. Sterling. Ruth was dedicated to her family and truly loved the time spent with her grandchildren. Survivors include 3 children Debra Malcomson (Bob), Paula Flesner (Denny) and Vernon William “Butch” Logsdon II (Lisa) all of Mt. Sterling. 10 grandchildren Jill Bolinger, Scott Bollinger (Amanda), Elizabeth Ruggles (Alex), Eric Tracy (Clare), Drake Tracy, Kennedy Flesner, Drew Flesner, Mariah Nguyen (Lucas Crowe), Wyatt William Logsdon and Morgan Elizabeth Logsdon. 5 great grandchildren. 4 sisters Janice Hendricks (Albert), Jeanette Freitag, Marilyn Crenshaw (Freddie) and Pam Dunbar all of Mt. Sterling. 2 brothers Fred Dunbar (Gloria) of Mt. Sterling and John Bridgewater of Chillicothe, Illinois. 1 brother-in-law Buddy Edlin of Mt. Sterling also survives along with several nieces, nephews and she was anxiously awaiting the arrival of her 6th great grandchild in March. She was preceded in death by her parents, 2 sisters Joyce Edlin and a sister in infancy, 1 sister-in-law Alita Bridgewater and 1 brother-in-law Bob Freitag. Funeral services will be held at 10:00 a.m. Thursday, January 24, 2019 in the Hendricker Funeral Home in Mt. Sterling with Tim Henry and Phyllis Metz officiating. Burial will be in the Cooperstown Cemetery. Visitation will be from 4:00 p.m. until 7:00 p.m. on Wednesday at the funeral home. Memorials are suggested to Brown County Against Cancer or Cass-Schuyler Area Hospice.